I’m an entrepreneur and software architect. I can take ideas from napkins all the way through to production and beyond. I’ve managed both large and small teams over the years, and I still have a passion for coding myself. I’ve been a founder, a co-founder and a CTO at various times. Sales, marketing, public relations, budgets, contracts and business strategy are all too familiar, but software development will always be my true love. Primary interests of late include cloud computing, highly-scalable architectures, machine learning, web/mobile development and automated trading for equities and options. I have a passion for software development and I've been around long enough to know a thing or two about design, managing projects and how to make appropriate compromises to get products to market as early as possible. I've also authored a number of books, user's guides, online help files and detailed product specifications. It's not as fun as writing code, but it comes with the territory and I seem to be good at it. Shown here are a couple of books I authored for PC Dynamics; a company I started early on. I'm also a top writer on Medium. At the core, I'm a software developer. Nearly every product I've ever worked on started out on a napkin with me doing the drawing. Not only do I have a solid track record for bringing products to market, and then marketing them, my products have consistently won awards and received glowing editorial reviews. I thrive on new technologies and changing things up, which is why I've worked on such a diverse range of products over the years. In fact, I've dabbled in way more areas than listed here. 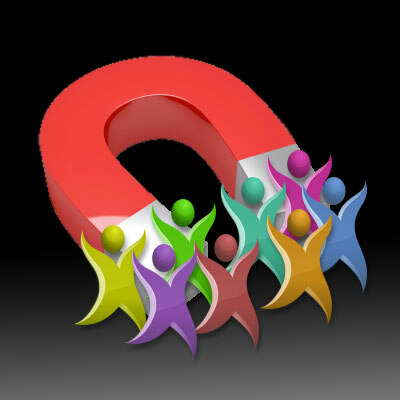 I also have extensive experience in sales, marketing and the operational side of running small businesses. Hello Gloss is building a community of beauty and fashion influencers and enthusiasts who help and inspire each other to be uniquely fascinating. Although our feature set is still mostly private, some of the things we're working on include making deep connections between social media content and products using machine learning and crowd-sourced curation to creatively surface beauty insights and make the content magically come alive. I'm responsible for all architecture and lead the core development team for a highly-scalable platform hosted in Microsoft Azure on Kubernetes. 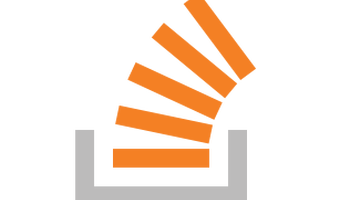 We use ASP.Net Core and C# for most of the back-end logic, with Python and Tensorflow for the machine learning tasks. Database technologies include Cosmos DB and SQL Server. All front-end work uses React and GraphQL. 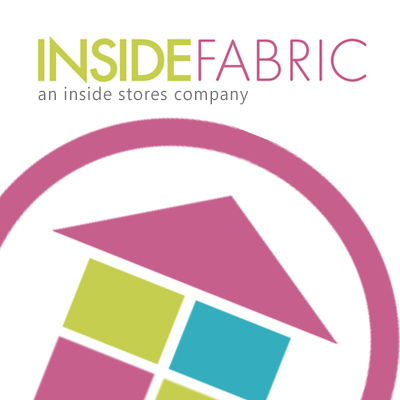 Inside Stores operates a handful of ecommerce sites with a focus on luxury home furnishings, upholstery fabric and wallcovering. We list over 500K drop-ship products for sale with nearly all traffic coming from organic search and related SEO/SEM strategies. As CTO and lead developer, I'm responsible for all team development, web servers, back-end services, SEO, analytics and business insights. Most of our success is attributed to aggressive SEO with long-tail and cross linking, extreme attention to data collection, data freshness, and to on-site product discovery and classification using machine learning. On the back end, we pull data daily from 80+ vendors in a myriad of formats, push out feeds to affiliates, automatically crop, resize and classify images, tune our search and autocomplete to boost discovery, send emails with personalized recommendations, and maximize SQL product queries for sub-second page loads. Du Molin and Du Molin, Inc.
As CTO and core developer for this boutique venture capital and incubation firm, I was the chief architect and project manager for a fully-automated lead generation system now licensed and marketed as LeadFire. The budget for this project topped $3M. 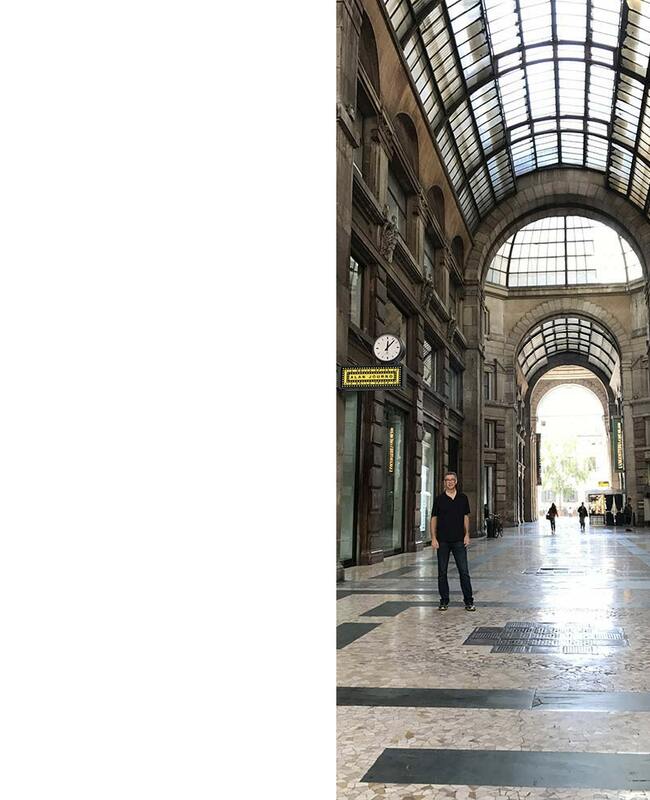 LeadFire is a one-stop all-inclusive solution for generating real-time sales leads through Internet-centric venues and geo-targeted organic search. When customers sign up and answer a few profile questions about the services they offer, LeadFire automatically creates a series of custom websites, buys and configures domain names and DNS, sets up proxy phone numbers for tracking and then registers these sites with Google and relevant geo-targeted industry directories. The cornerstone of this technology is its patented approach for automated content generation using a rich-media database which is designed to scale out to thousands of customers within a given vertical without replication or running afoul of Google. LeadFire is delivered as a hosted service with lifetime revenue for dental patient acquisition surpassing $20M and growing. First Information Systems was one of the original companies incubated by venture capital firm Du Molin and Du Molin. The company already had several projects underway when I came aboard as CTO. 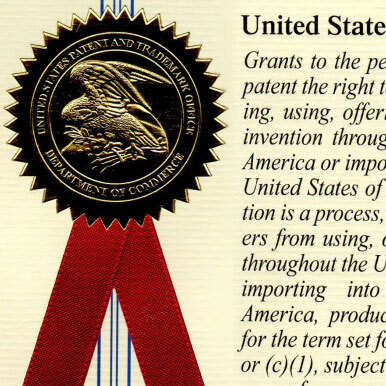 In additional to guiding the existing development teams to help bring their products to market, I also spearheaded a new project focused on reducing email spam for which I earned my first patent (US 8032751). I later continued my relationship with the Du Molin group as they initiated other investments. Founder and developer of the company's line of SafeHouse encryption and personal security software products for Windows. SafeHouse featured a simple user interface combined with transparent pass-through encryption, making it instantly compatible with all popular Windows applications and a top choice for non-technical users with a need for data privacy. These products were distributed primarily through the Internet and corporate resellers. Customers ranged from home users to enterprise site licenses for big international banks. Over 1M downloads. Numerous 5-star ratings and stellar editorial reviews. 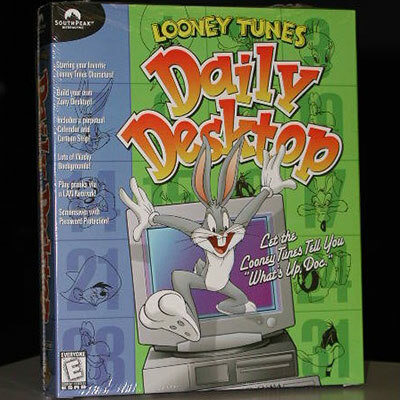 As founder and lead developer, I created and marketed a suite of popular desktop utilities and screen savers sold primarily in traditional computer retail stores such as CompUSA, EggHead and Best Buy. Our products won numerous awards and frequently topped the charts in their respective genres. 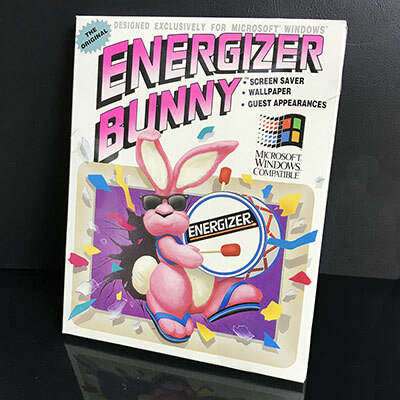 And yes, I am the creator of the original Energizer Bunny Screensaver which became a monster hit back in the day; subsequently leading to a full line of screensavers, including NASCAR and many other famous-brand names. 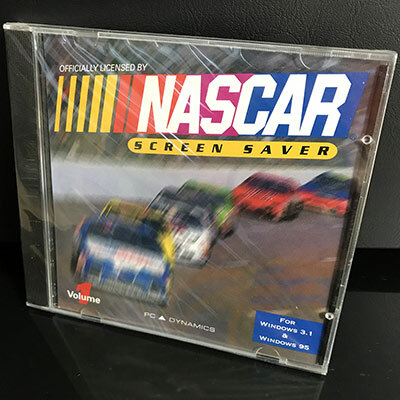 Beyond development, my responsibilities included running sales and distribution, marketing, trade events, public relations, various legal and license negotiations, writing user guides and product packaging. 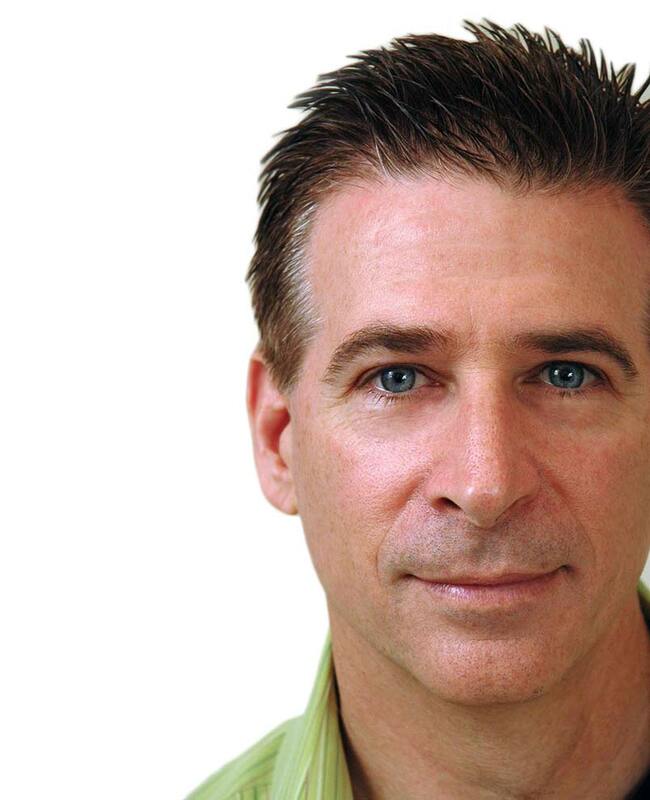 PC Dynamics grew to 15 employees with annual sales topping $5M at its peak. 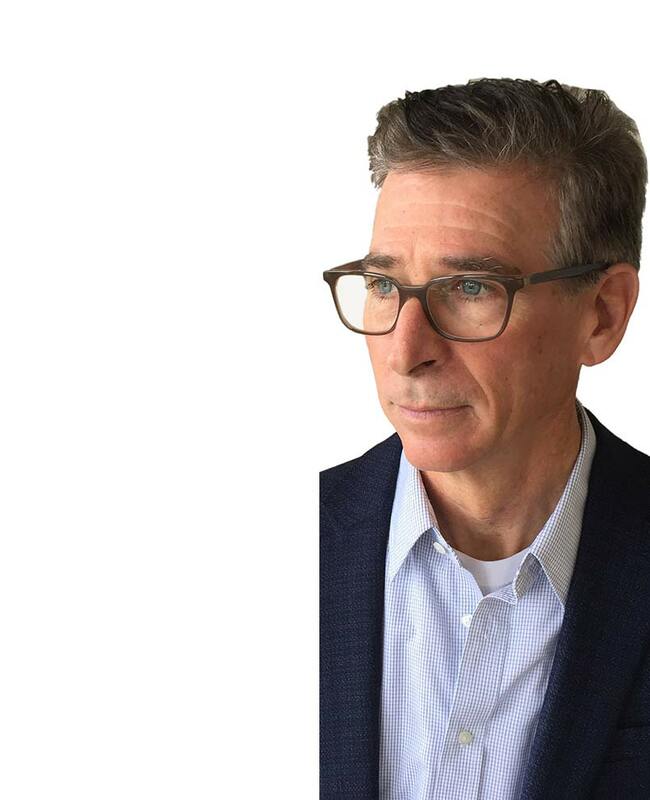 I joined Vault Corporation as the company's first VP of Engineering while its initial product was still in the early proof-of-concept stage and worked to productize the founder's ideas. 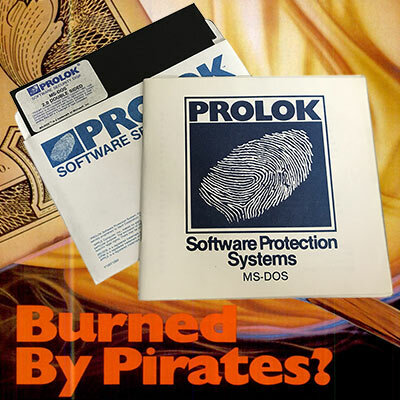 After demonstrating a diskette fingerprinting and copy protection system named Prolok using a combination of robotics, software and some (subsequently patented) secret sauce, the company received $3M in venture funding and a large production contract from Ashton-Tate, publisher of the acclaimed and massively-pirated dBASE software. My role principally involved core development and running the engineering team as we grew the company from 5 to 70 employees during my tenure. 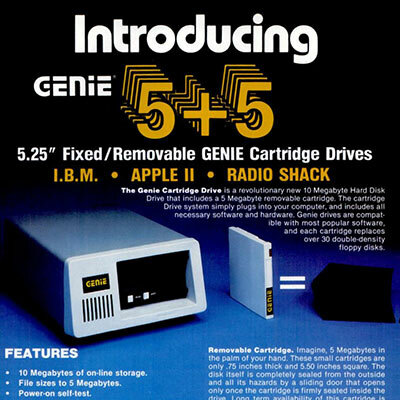 I started Genie Computer using seed money from an angel investor with the goal of producing add-on boards and peripherals for the Apple and IBM personal computers. I was in charge of all hardware and software engineering while my investor/partner handled operations and marketing. The company quickly found itself in the national spotlight after we introduced an unprecedented 5MB (not a typo) hard disk storage line-up for the IBM PC with full-page color ads in Byte magazine. 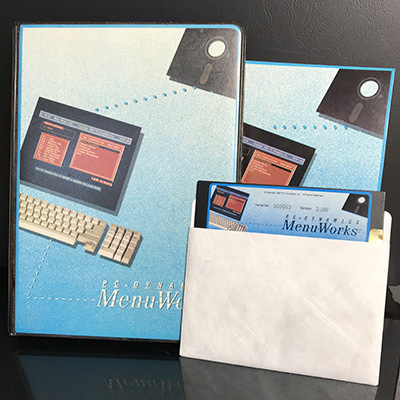 In that era, hard drives had not yet come to personal computers, and my conviction that it could be done persuaded a prominent computer mail-order distributor to fund the project and help me bring it to market. Back then, I was young and didn’t have any business or marketing experience – or money. I designed the SCSI peripheral interconnect boards for both Apple and IBM, created the external drive enclosures and related internal electronics; and most notably, hacked the Apple DOS and MS DOS diskette-based operating systems and implemented new software kernels in assembly language to make them work with these new mass storage devices. 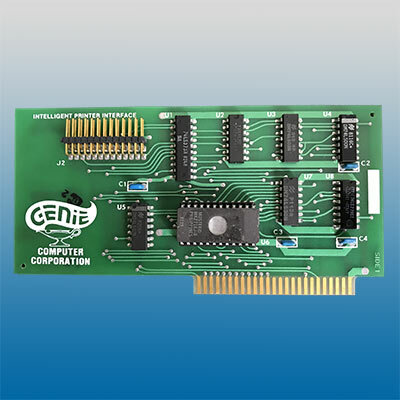 I joined ComDesign as a digital hardware engineer just as the company was commencing work on a new RS-232 statistical multiplexer based on the forthcoming Intel 8088 microprocessor. My role included circuit design of digital expansion boards as well as writing diagnostic firmware in 8086 Assembly language. Multiplexers played an important role in reducing modem telecommunications costs by combining the data for many keyboard terminals over a single phone line. The stat mux we developed at ComDesign took this to a new level of performance by using microprocessors and ASICs to process and compress the data for maximal saturation of the available modem bandwidth. Having the luxury of embedded microprocessors also afforded us the opportunity to include sophisticated reporting and phone-home diagnostics. 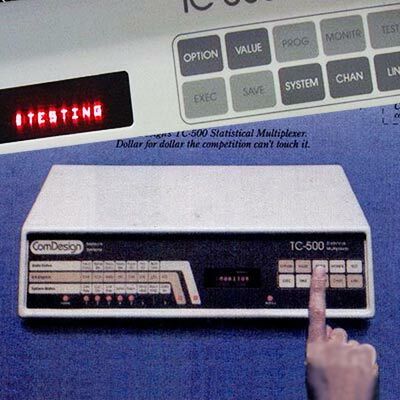 Still further, they provided the functional capability for an intelligent control panel for system status and configuration which included a keypad and multi-row full-character display (something quite new at the time). Although I did attend Central Connecticut State for a bit, and then later the esteemed Brooks Institute of Photography here in California, I do not have a formal undergraduate degree. Computer science programs weren't really a thing back then; short of working with punch cards. 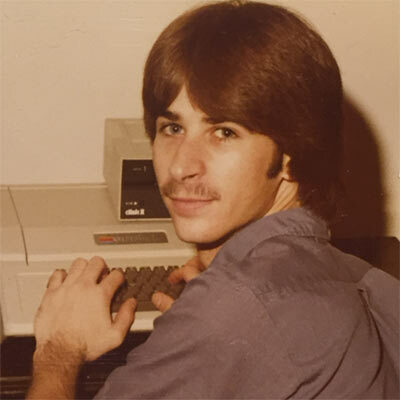 Nonetheless, I was seduced by the burgeoning microcomputing industry, and one day I simply decided to spend my hard-earned tuition money on the recently-released Apple II computer. It seemed like a good idea at the time. I taught myself about software, microprocessors and electronics, and soon landed my first engineering position working with state-of-the-art microprocessors at ComDesign. The net of it is that I have an insatiable passion for self-learning and a mind-blowing collection of books. Throughout my career I've developed many products which have received numerous accolades and rave editorial reviews. Listed below are a few events which have stood out amongst the rest. Abstract: System for unique automated website generation, hosting, and search engine optimization. A technique and system for automatically generating and hosting a plurality of unique websites having conceptually similar content within a business market or profession is described. Abstract: E-mail certification service. A method is provided to handle an electronic mail message such that the receiver of the e-mail message can verify the integrity of the message. The NSA once tracked me down at midnight while on vacation about some very bad guys using my SafeHouse encryption software. With no time to waste, I worked with them over the next few days to mitigate the situation. 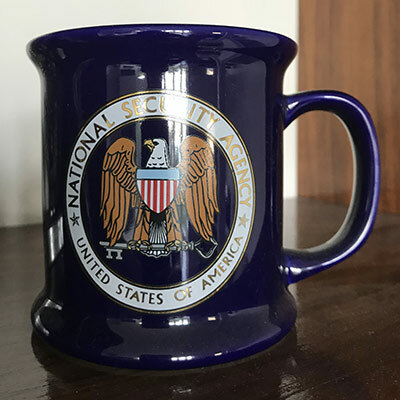 In the end, no headlines in the news that weekend and they presented me with this official NSA gift shop coffee cup for a job well done. 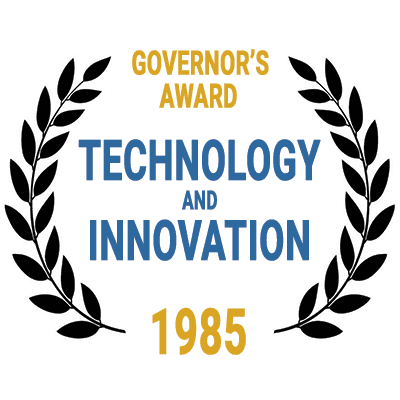 California Governor George Deukmejian presented my development team at Vault Corporation with the distinguished Governor's Award for Technology and Innovation for our work on the Prolok diskette copy protection system. The company was later granted a patent for this effort: Method and apparatus for frustrating the unauthorized copying of recorded data. 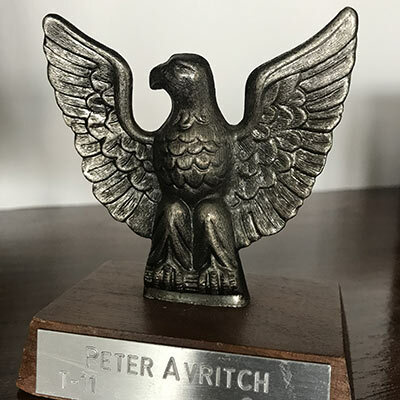 At age 14, I was one of the youngest members to achieve the rank of Eagle Scout at that time in my home state of Connecticut. My parents always told me this would look great on a résumé. Here I've tried to list most of my noteworthy products and projects. It's seems every few years I'm working in a completely different space -- that's what makes it so fun! Ecommerce site with 300K+ drapery and upholstery fabric products. Uses machine learning for suggestions. 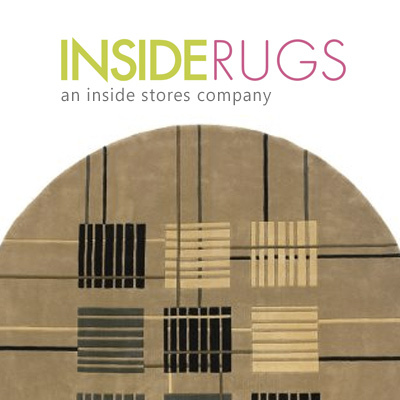 Another online venue from InsideStores with over 50K drop-ship rugs. ASP.Net, SQL and some machine learning. 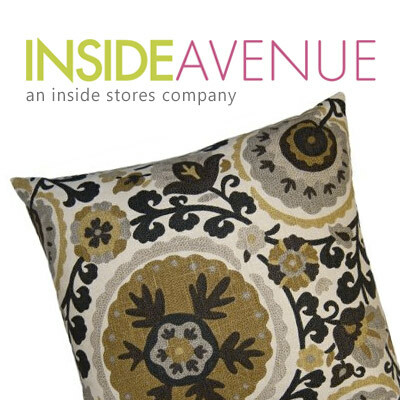 One of the first luxury home furnishings websites from InsideStores using mostly organic search for traffic. 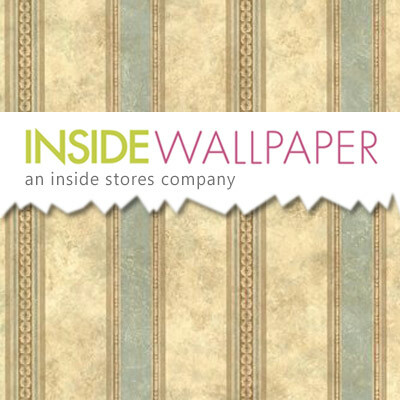 Web store with over 50K wallcovering products. Uses machine learning to enhance discovery. ASP.Net, SQL. 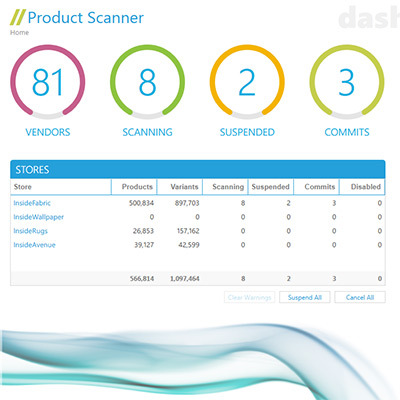 WPF front-end for refreshing stock status and specs on over 500K drop-ship products from 80+ vendors daily. 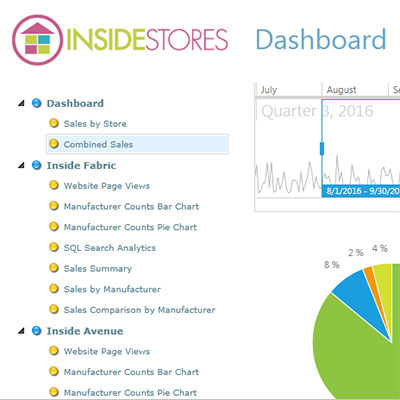 Silverlight and ASP.Net app to provide real-time monitoring and business insights for ecommerce sites. Massively-scalable and fully-automated SaaS Internet lead generation system for dentists and other verticals. 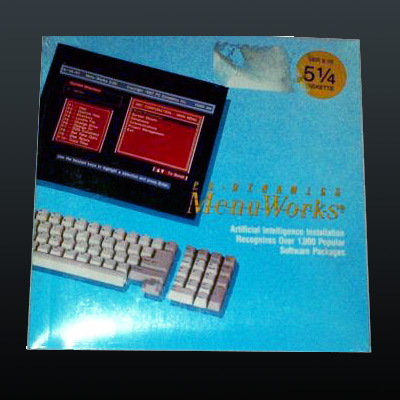 A portable freeware version of SafeHouse for memory sticks with a Windows Explorer-like user interface. SafeHouse brought advanced encryption to the masses with its simplified interface for non-techies. I created this and other private label products for SouthPeak based on the popular MyCorkboard engine. 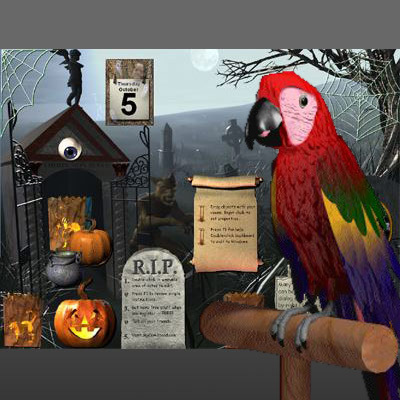 Fully interactive drag-n-drop screen saver with pranks distributed as Internet shareware. Monster hit! 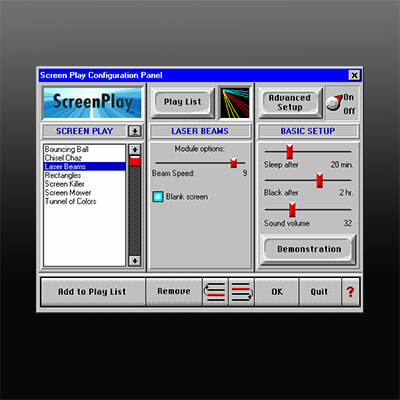 PC Dynamics quickly became a leading publisher of retail screen savers with numerous famous-brand products. 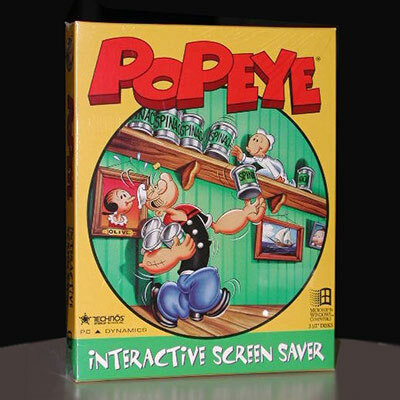 I was the first to introduce the concept of an interactive screensaver; starting with Popeye based on ScreenPlay. Created this new core screensaver engine in C++ to take advantage of many new licensing opportunities. 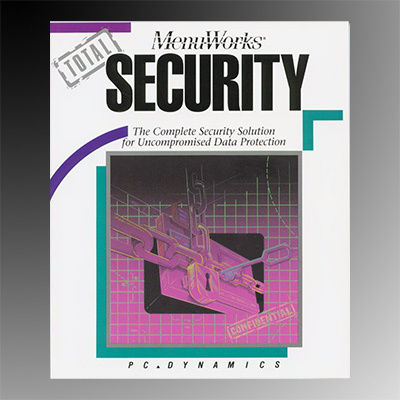 Looking to tap gov markets, added full disk encryption and access control on top of MenuWorks. Written in C++. 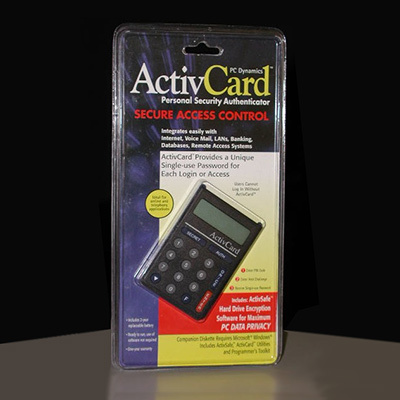 A retail staple, this version targeted home users with fewer features and a lower price point. Written in C++. 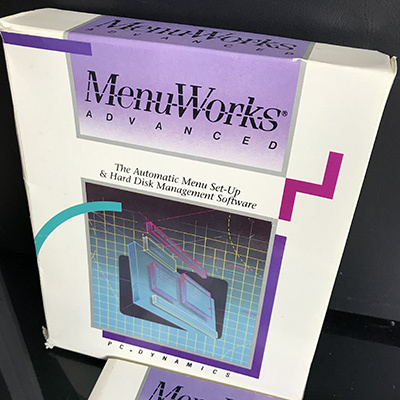 Next evolution of MenuWorks rewritten from scratch; many new features, but kept core concepts. Written in C++. 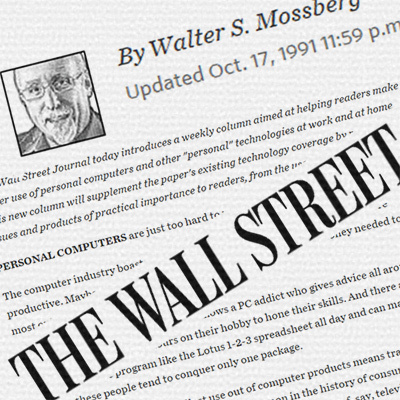 Walt's infamous first-ever personal computing column in the WSJ recommended MenuWorks! 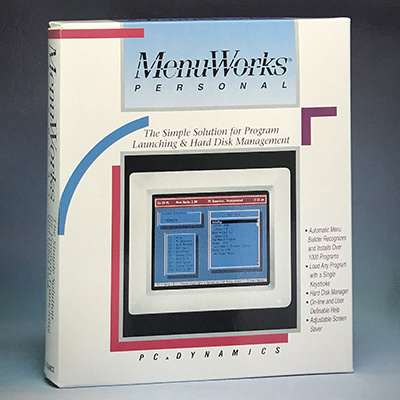 Menu utility for MS DOS to simplify launching apps in a world before Windows. First product by PC Dynamics. 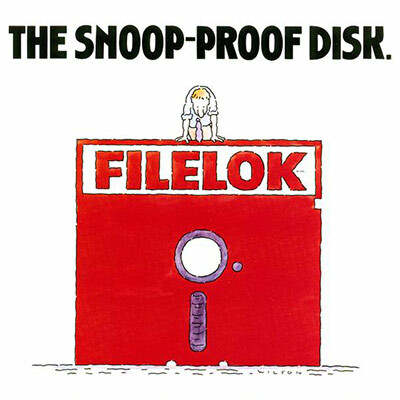 Data to be protected was associated with a physical fingerprint implanted onto diskettes using robotics. 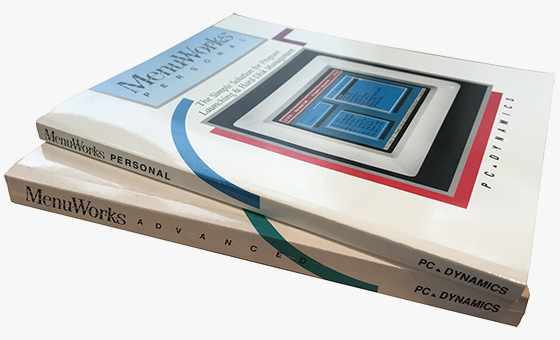 Patented diskette copy protection for commercial software used by many leading publishers of the day. This mind-boggling 5MB (not a typo) hard drive for Apple and IBM PCs thrust Genie into the national spotlight. Breaking out on my own, my first product was this printer card for the Apple II which soon snagged an investor. In my first engineering role, I helped design this RS232 multiplexer powered by an Intel 8088 microprocessor. 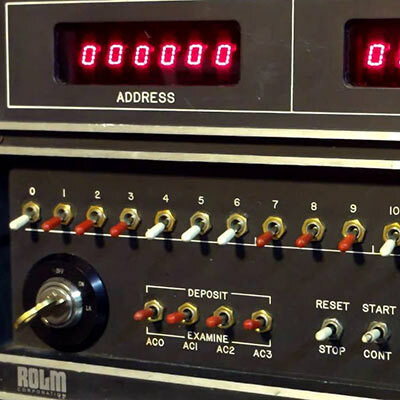 First tech job was working on this Rolm computer using toggle switches, a soldering iron and an oscilloscope. I squandered my tuition money on this Apple II with 4KB of memory and taught myself to code. 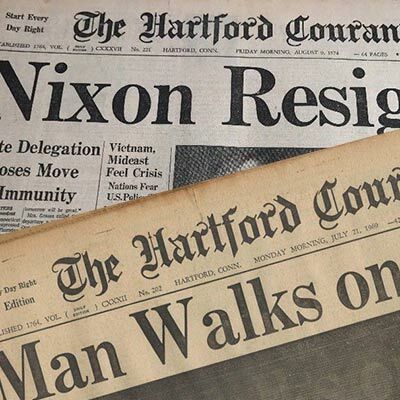 I delivered over 100K Hartford Courant morning papers over the course of 6 years; including these two. I would love to hear from you if you've got a new project or an exciting opportunity to discuss. I'm pretty easy to find. I leave traces all over.